Biser Oliva is a leading producer of high-quality vegetable oils in Bulgaria, whose tradition can be followed back to 1947. Biser is a trademark for high-quality sunflower oil, produced by the company for more than 60 years and bottled under the latest European technology requirements. Biser is the first sunflower oil in Bulgaria to be bottled in protective environment - this is the latest technology, in which oxygen is extracted from the bottle, to avoid the adverse effect of the oxidation processes. Coca-Cola HBC Bulgaria is a franchised bottler of The Coca-Cola Company. We operate 2 bottling plants – in Kostinbrod and Bankia, and 7 warehouses. We employ about 1 100 people. We produce, sell and distribute Coca-Cola, Fanta, Sprite, Fuzetea, Bankia mineral water; Rosa spring water, alcohol and Lavazza coffee. Our company is part of the Coca-Cola Hellenic Group. CCHBC has a premium listing on London Stock Exchange. CCHBC is the first company to achieve four consecutive wins in the world’s most prestigious business sustainability rankings of Dow Jones. Coca-Cola Bulgaria is the local subsidiary of the The Coca-Cola Company. The Coca-Cola Company (NYSE: KO) is a total beverage company, offering over 500 brands in more than 200 countries and territories. In addition to the company’s Coca-Cola brands, together with Fanta, Sprite and Schweppes, our portfolio includes some of the world’s most valuable beverage brands, offering soy-based beverages, ice tea, waters, smoothies, juices and nectars, coffee, sports drinks, smartwater, coconut water and so on. We’re constantly transforming our portfolio, from reducing sugar in our drinks to bringing innovative new products to market. We’re also working to reduce our environmental impact by replenishing water and promoting recycling. With our bottling partners, we employ more than 700,000 people, helping bring economic opportunity to local communities worldwide. DEVIN is the leading bottled water company in Bulgaria. All sources and the bottling facility are based in the ecologically clean and pure region of Devin, in the heart of the Rhodopi mountains. DEVIN is also the distribution partner for Red Bull and Granini in Bulgaria. The company is operating a national sales & distribution network, headquartered in Sofia. At present, DEVIN has over 500 employees. The Chief Executive Officer of the company is Mr. Thomas Krennbauer. In March 2017, Devin was acquired by the Belgian Spadel Group and now is part of the exciting success of one of the leading bottled water companies in Western Europe. Danone is a leading global food & beverage company built on four businesses: Essential Dairy and Plant-Based Products, Waters, Early Life Nutrition and Advanced Medical Nutrition. Danone aims to inspire healthier and more sustainable eating and drinking practices, in line with its vision -Danone, One Planet. One Health- which reflects a strong belief that the health of people and the health of the planet are interconnected. Danone officially entered in Bulgaria in 1993 when Group Danone acquired the state-owned enterprise Serdika. 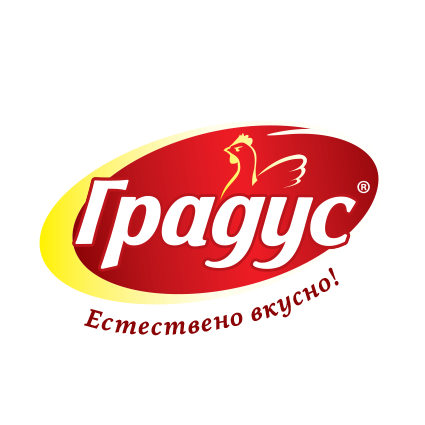 The company is the leader on the Bulgarian market for fresh dairy products. Over 50 products of high and constant quality are included in the product portfolio combining Danone's global standards with the specifics and conditions of the Bulgarian market and the wishes of Bulgarian consumers, strictly observing the quality and safety legislation of the products it offers. The company actively works in the sphere of corporate social responsibility as every year invests in various projects for the benefit of society in Bulgaria. Gradus AD is a holding company that brings together subsidiaries, leaders in hatching eggs production, poultry breeding, chicken meat production, pork sausages and grain trade. Gradus Group started its activity in 1992 and currently the group is a leader in the Balkans in white meat production and processing and number 2 hatching eggs producer in Europe. The company produces over 150 types chicken products under the brand “Gradus”, in 2017 and 2018 the product portfolio of the company is enriched with raw-dried and boiled - smoked pork meat sausages under the brand "I Eat! ", and the chicken "Le Poulet". The company has 13 production bases in Bulgaria, more than 1500 employees and exports its products to 15 countries. 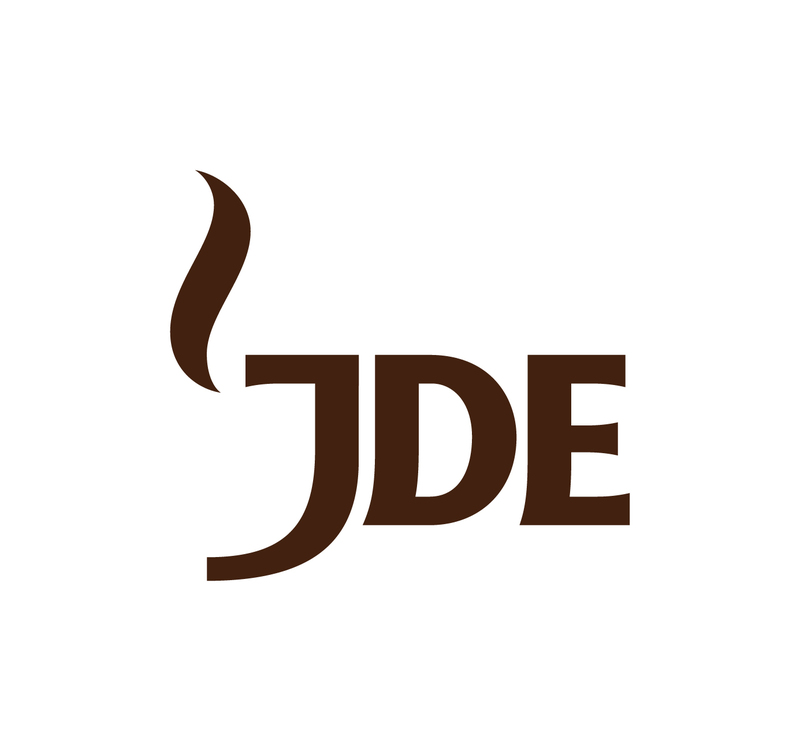 For more than 265 years, Jacobs Douwe Egberts (JDE) has been inspired by the belief that it's amazing what can happen over a cup of coffee. Today the company's coffee & tea portfolio is available in over 140 countries around the world through iconic household names including: Jacobs, Tassimo, Moccona, Senseo, L'OR, Douwe Egberts, Super, Kenco, Pilao & Gevalia. In Bulgaria, a team of 135 coffee champions works in the salling and production units to bring to the Bulgarian consumers their beloved Nova Brasilia coffee as well as the innovative and modern Jacobs brand. Mars Bulgaria operations are part of Mars, Incorporated, one of the world’s largest family-owned companies. Within Mars, Incorporated Mars Bulgaria belongs to BBA region (Baltics, Balkan, Adriatic). Our products range from confectionery to food such us rice all the way to the world’s leading pet foods. Categories where we operate in are: Food, Gum, Soft & Hard Candies, Chocolate Bars and Pet Food. Mondelēz International, Inc. (NASDAQ: MDLZ) is one of the world’s largest snacks companies. Leading the future of snacking in approximately 160 countries with over 90 000 employees, Mondelēz International is a world leader in biscuits, chocolate, gum, candy and powdered beverages, featuring global Power Brands such as Oreo and belVita biscuits; Cadbury Dairy Milk and Milka chocolate; and Trident gum. Mondelēz International is a proud member of the Standard and Poor’s 500, Nasdaq 100 and Dow Jones Sustainability Index. In Central Europe, Mondelez International is a snacking market leader with iconic global brands like Milka, Oreo, Toblerone, belVita and many local heritage brands that the company maintains with pride and our consumers love. In Central Europe, MDLZ employs 10 000 people and operates in more than 20 countries. The company runs 20 chocolate, biscuits, and Gum & Candy factories across the region. Nestlé is the largest Food and Beverages Company in the world. It has more than 2,000 brands and presents in 191 countries around the world. In Bulgaria Nestlé has its production in the confectionery factory in Sofia. The Sofia factory was chosen to be a competence center for chocolate production in Europe and in 2007 it became one of the three largest KIT KAT® production centers on the continent. In the period 2013-2017 the company invested nearly BGN 48 million in new production facilities; energy efficiency projects; high level of safety for its employees. Nestle Bulgaria applies a consistent strategy for environmental protection, achieving 43% reduction of water consumption and 15% reduction in energy consumption per ton of production in the last six years. Nestle Bulgaria follows strictly its corporate social responsibility policy. The company creates jobs for over 1,100 people, with more than 670 jobs in the factory. Prestige-96 AD is one of the biggest food producers in Bulgaria and the market leader in all categories in which the company operates biscuits, wafers and mini cakes with the brands Trayana, Mirage, Roden Krai, Hyper, Troy, Spoko, Naya, Muesli, Nasladki, Prestige Selection, 100% Power, Prestige Wellness and FRUNU with a total market share of 23% in value. Prestige brand products are currently sold in 30 countries all around the world. Prestige has more than 550 employees who are therefore rightfully proud of the company's corporate and social responsibility and its focus on children and young people in Bulgaria. The company pursues an active investment policy to build its strong brands and innovate, as well as increase and expand further its production capacity. Prestige develops its products in own R&D laboratories, collaborates with international experts and technologists and works with the best raw materials from leading producers all around the world. Quadrant Beverages JSC is one of the leading producers and distributors of soft drinks in Bulgaria, Quadrant Beverages JSC is the official bottler of PepsiCo products in Bulgaria (Pepsi, Mirinda, 7up, Evervess), stills Prisun and the official distributor of Pepsi-Lipton International (Lipton Ice tea) and Rockstar energy drink. Quadrant Beverages JSC is part of Karlovarské minerální vody a.s (KMV), a Czech Republic based soft drink company and the largest producer and marketer of mineral and spring water in Central Europe. Founded back in 1873, the company has a rich history, reputable brands and currently employs more than 1,200 people. Quadrant Beverages is one of the largest employers in Bulgaria. The company owns a bottling plant in Veliko Tarnovo and has retail outlets all over the country.